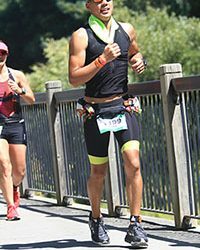 Finished Ironman Santa Rosa, the other day with no foot issues! Thanks so much. Pain was gone as if nothing happened 2 weeks after our appt. Could a cuboid stress reaction/peroneal tenosynovitis heal that fast? Thanks again!